Veg Manchow soup :- Its a pretty standard order for us because it is usually pretty tasty and most restaurants mess it up the least. It was good here with the right amount of vegetables and flavor in it. 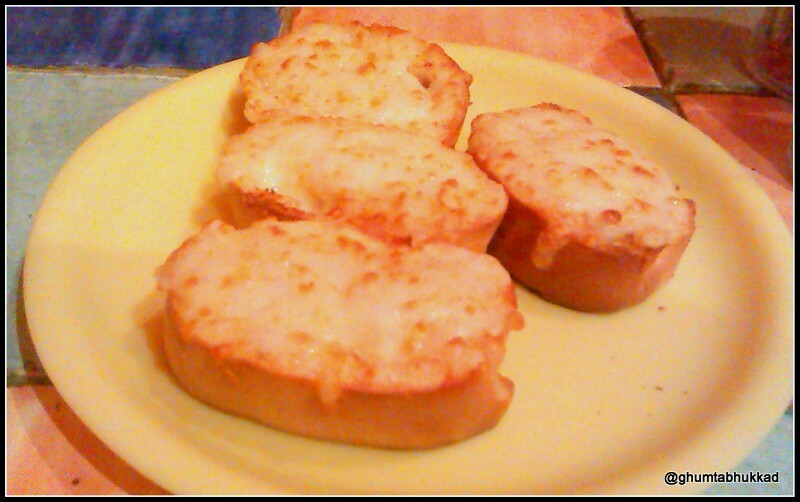 Garlic bread with Cheese : we are not sure what they were trying, but it seemed like a copy of the pizza hut garlic bread but was not at all the same in taste. 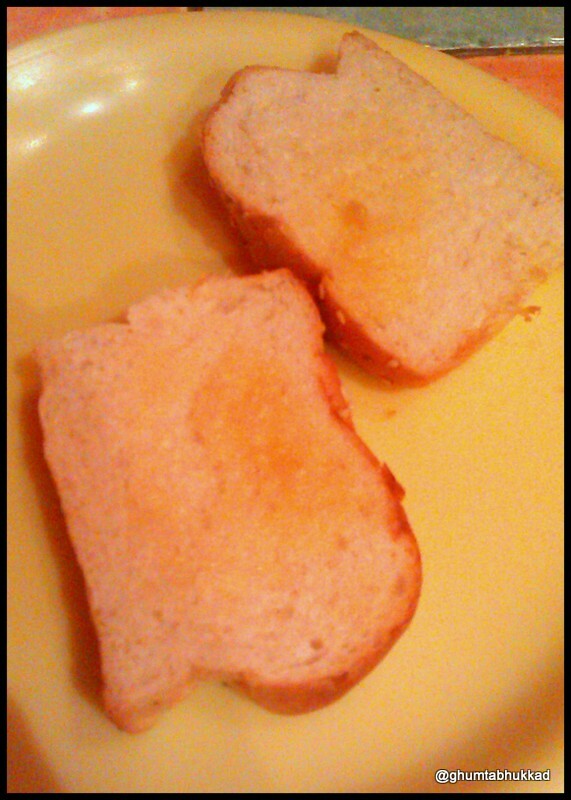 Although the bread was soft there was not enough garlic flavored butter spread on it. The cheese was also bland. 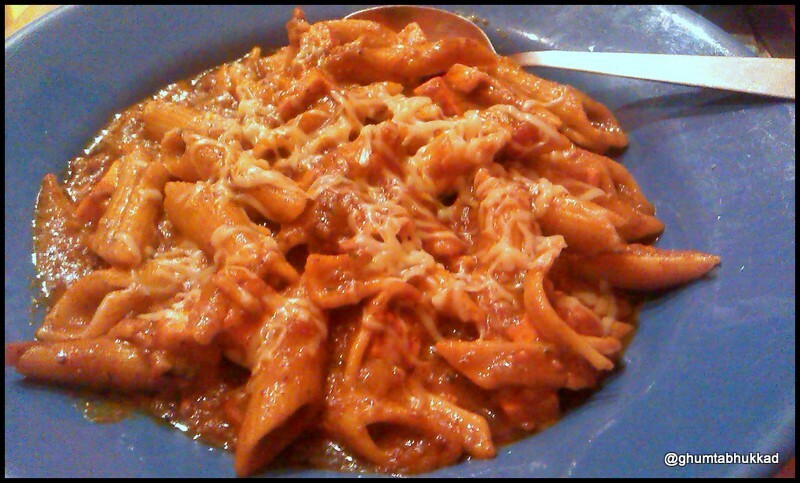 Picante Curry Pasta :- We would rather call it paneer butter masala pasta! It was such a set back ,it was like they had put pasta in paneer butter masala curry which you can eat as a side dish with naan or roti, it was so so very indian that we cant emphasize enough on it and more over it wasn’t a very tasty panner butter masala. It definitely had more oil in it and was very spicy, with chunks of paneer in it and no semblance of it being Italian at all, with a drizzle of mozzarella cheese on the top as garnish. On asking much later for the Garlic bread that was to accompany the pasta they apologetically told us they forgot and got two pieces of garlic bread and although the bread was soft there was not enough butter spread throughout the bread and it distinctly lacked the garlic flavor in it !Also it tasted somewhat sour the parts it did have butter. May be Italian is not there niche …we seriously don’t know what is. This restaurant is in such a prime location with a comprehensive menu, only if the food were better they could have cashed in so perfectly. Its a pity! Note : This is not a paid review. It’s based on our experience of going there and we paid for our own food. 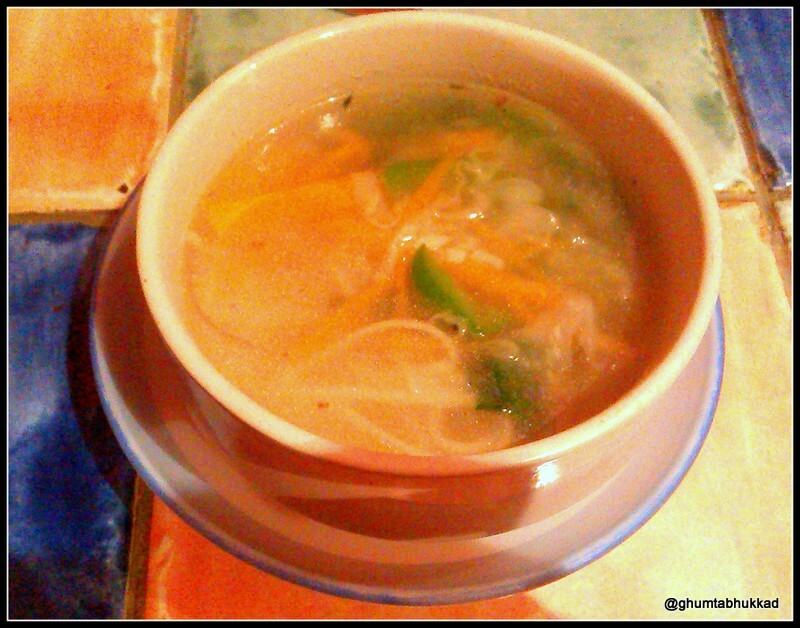 We went to Hot Pot China after a rigorous session of yoga and our tummies rumbling with hunger. and it was pretty close by for some light not fattening food (or so i assume Chinese food to be ! ) 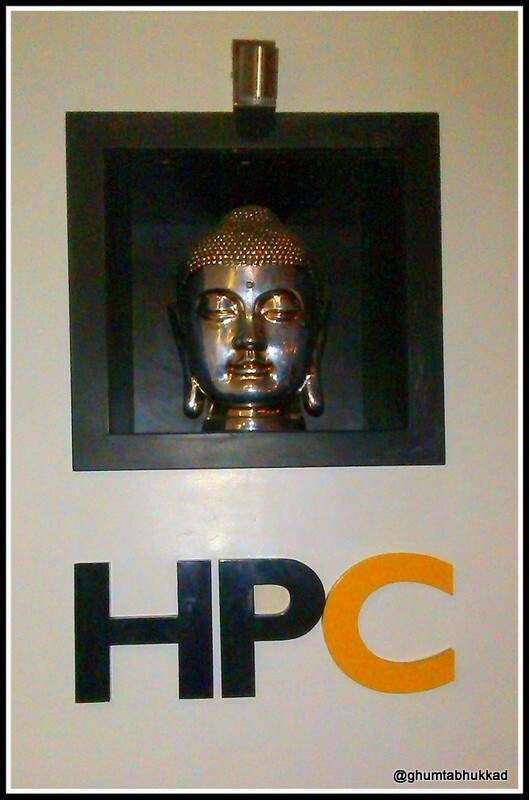 so after about 10 mins of waiting on a busy saturday night we were seatedThis place has the potential for zen like peacefulness with all its buddha murals and beautiful paintings on the wall and the dim hanging lamps over the tables. of course here you would have to shun out all the noise eaters and the crowd having a good time with their family and friends to take in all of the ambiance. 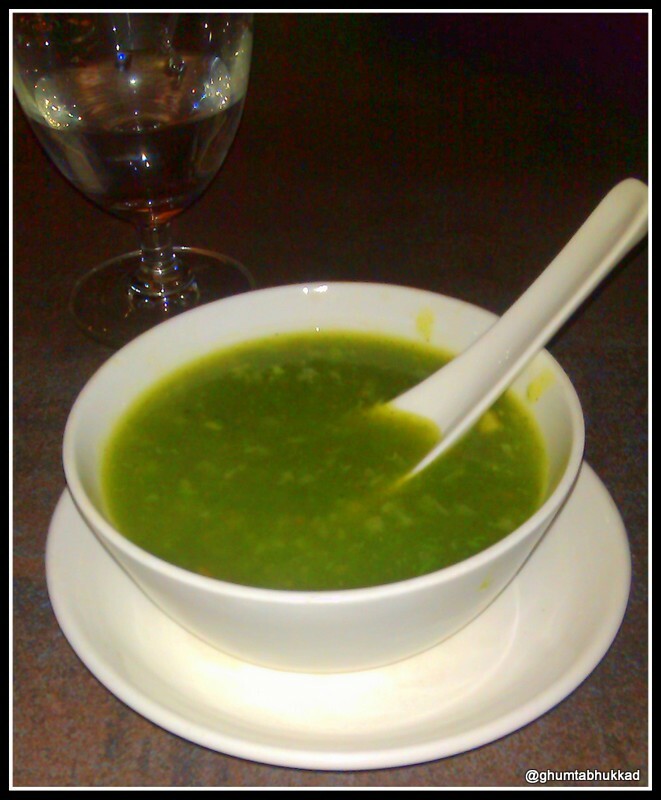 Lemon Coriander Soup – it was a thick soup with nice flavoring of lemon in at and finely crushed/ chopped coriander leaves and vegetables . It tasted yum and it was such a welcome treat for out hungry stomach. 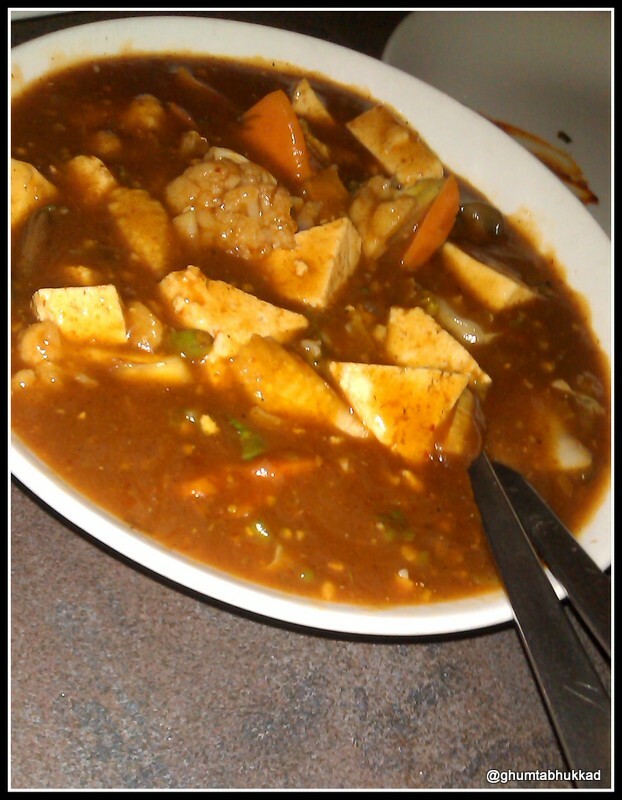 Sapo Tofu With Exotic Vegetables – It was a gravy dish with lots of vegetables, the typical ones that go into chinese dishes and tofu. It tasted a little spicy but went well with the other two noodle and rice dish. Burnt Garlic Fried Rice – Normally most chinese places offer garlic fried rice n this one gave the option of it being burnt which intrigued us enough to order it and the taste was something which made us happy enough owing to the smoky flavor of the rice along with the not too overpowering garlic tinglings. 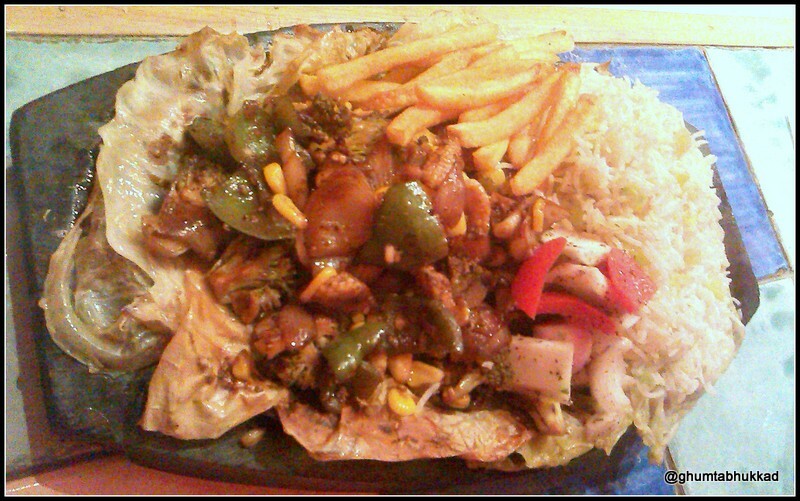 We loved this subtly flavored dish and our only wish is if only there were a tiny bit more vegetables in it. Pan Fried Noodles in Schezwan Sauce – The noodles looked more like it was a soya sauce n not the red color schezwan sauce we are normally used to but even this tasted nice not all that schezwan-ny if you ask me but nice, the noodles although pan friend were soft and this had a lot of veggies. By this time our endevour with the chopstick were successful by some just went back to the good old fork. We were completely full at the end of our meal with food, laughter and great friends and didn’t have any place for Desserts but we did have fresh lime sodas to wash it all down with. We would definitely go there to try their comprehensive menu. they also have a lot much more to offer for non vegetarians with a huge menu list. We enjoyed the place, food and service. Also another good thing about their menu is the half and full plate orders. Note : This is not a paid review. It’s based on our experience of going there and we paid for our own meal. 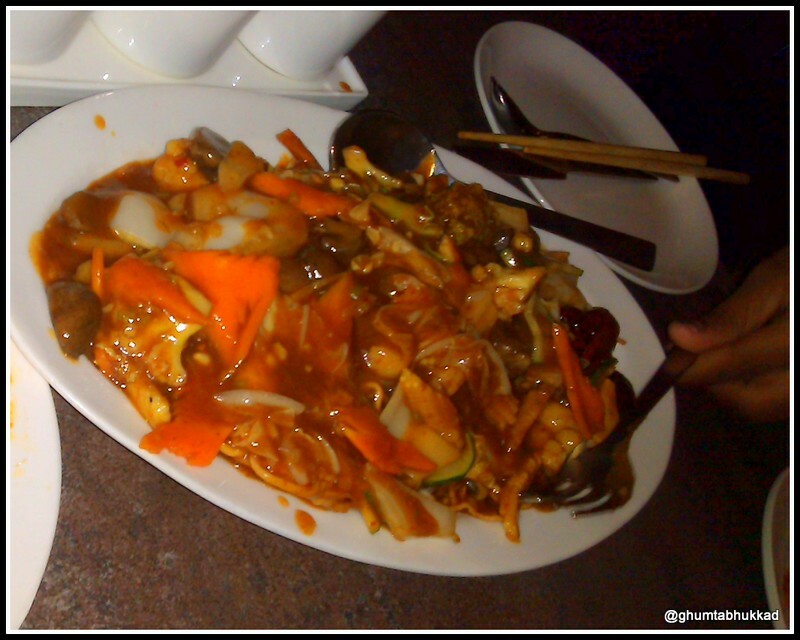 Fusion – A place for Chinese and continental. 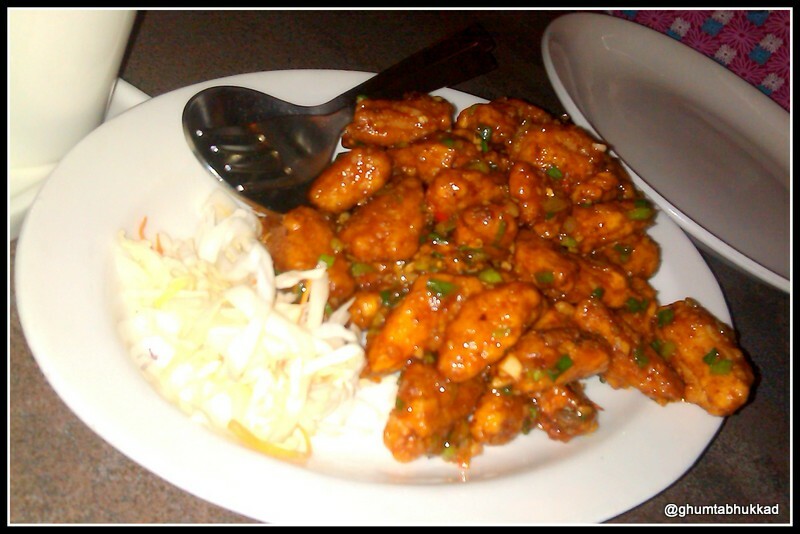 In search of a place which can serve us Chinese food , we landed at the place Called Fusion at Besant nagar. It’s a small place with the varieties of sitting arrangement sofa’s to chairs. This is not the place if you are looking for some silent, private ,romantic dinner or a lunch. They have a big screen where music channel will be playing non-stop Bollywood song. So you can enjoy , Definitely a fun if you like loud places. 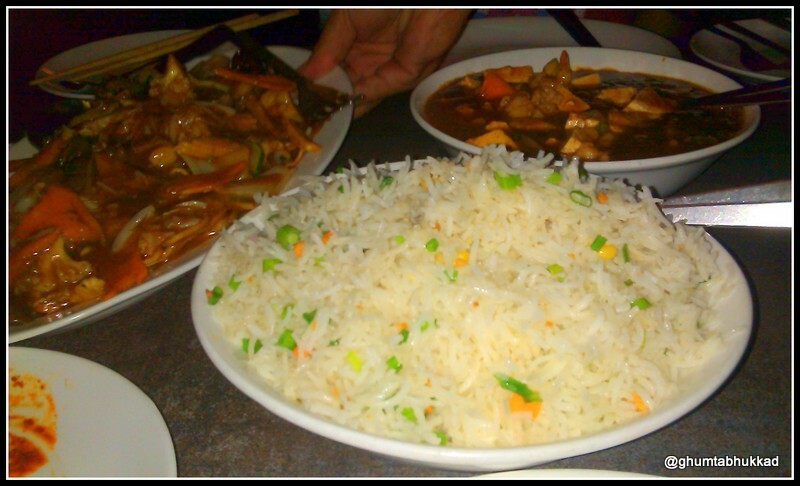 Chinese and continental menu was decent they have good variety of choices to make. Also they have some combo offer to serve which will be really good on your pocket if it is month ending .Also they have a list of flavoured soda to offer which i will suggest is must. Try it without fail. We were pre determined what to order but still we change our plans after having look at the menu . It is good to see that varieties they are offering . 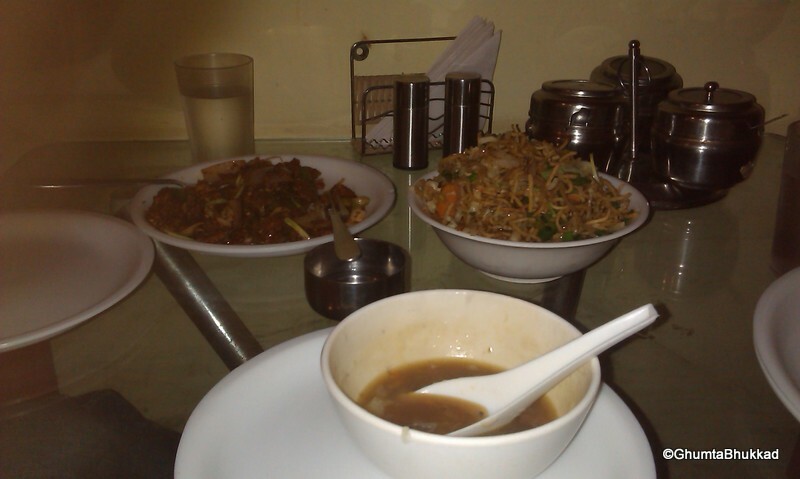 We ordered Lung fung soup , Chilly Baby corn and vegetable crispy noodles . Soup was good as I was trying it for the first time. Chilly baby corn they cooked the way I like to eat and disappointment was Vegetable crispy Noodles it was not what we expected but then this version of noodles was new to Try and it was okay. At the end, we ordered soda from the list they are offering Mint pudina soda and blue berry soda both the flavours were refreshing. their flavour soda when you are at Beach.